Set within 12 acres of landscaped gardens roughly 25 miles outside of Central London, Orsett Hall was built in the early 17th century, and enlarged by then-owner Richard Baker around 1750. The estate was passed on to various members of the extended family until the late 19th century, when it was inherited by Thomas Whitmore as a debt of honour. Whitmore’s son, Francis, rebuilt Orsett Hall in the early 20th century, transforming it into a grand country estate; it played host to many members of the Royal Family during the course of the 50 years in which it served as the Whitmore family home. In 1977, the Hall became a privately owned, 4-star hotel. 30 years later, on the morning of 11 May 2007, a fire broke out in the kitchen. The hotel was evacuated as the fire quickly spread across the three floors of the building, from the kitchen to the roof; despite the fire brigade’s heroic efforts, the grand old building that had stood in the grounds for centuries was lost forever. Thankfully no one was seriously hurt. Plans were quickly drawn up to rebuild the Hall, and it was decided that the new building should replicate the original as closely as possible. Building work commenced in early 2008. The Whitmore Suite and nine bedrooms were opened within three months, and the entire project was completed in April 2009. In June 2010, the Garden Brasserie was built, enabling both guests and non-residents to enjoy British cuisine in a warm, relaxed and friendly atmosphere. In October 2011, the previous owner’s house was converted into a Wedding Chapel, a Bridal Suite and two further Superior Bedrooms. In the summer of 2016, Café Sartoria, the Sartoria Suite, 16 Sartoria bedrooms and the brand new Spa were completed. 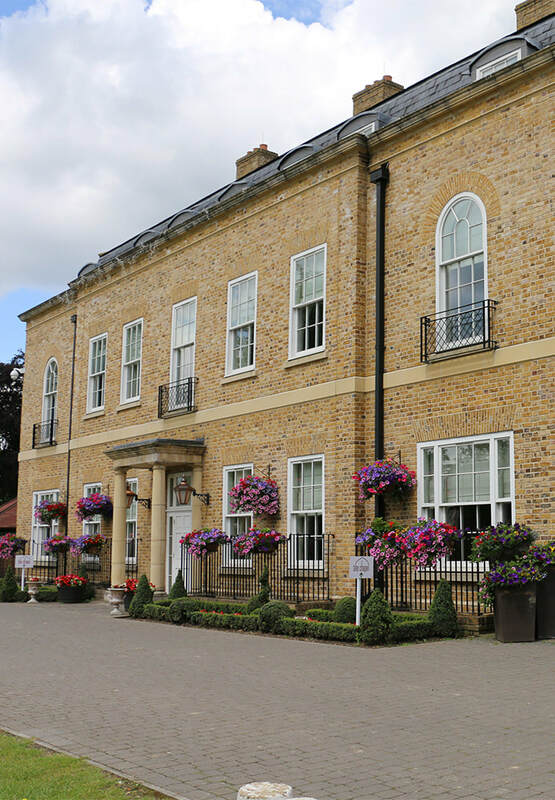 ​This recent extension places Orsett Hall firmly on the map as one of the top boutique hotel destinations in Essex.